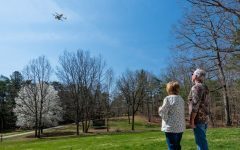 Many companies today face the same conundrum that Baltimore-based Marlin Steel Wire Products LLC faced 15 years ago, before it considered robotics integrators. Known as the “king of the bagel baskets,” the Baltimore-based company produced a commodity wireframe basket to hold bagels. Each employee handcrafted approximately 15 baskets a day. But then problems occurred: Injury rates rose, demand for bagels declined, and China entered the scene, producing baskets at lower prices than the cost of the steel. That’s when owner Drew Greenblatt realized he had two choices: go bankrupt or automate. He chose the latter, and the results have been stunning. Job-related injuries have practically ceased, workers have skilled up, the company has hired more employees, and overall productivity has gone through the roof. With an investment of millions of dollars in automation, Marlin Steel has gained a worldwide reputation as a quality supplier of custom metal forms, baskets, racks, and containers. In fact, the company is now an industry leader and because of its quality and precision products. Marlin Steel is able to supply a growing market in the medical, pharmaceutical, automotive, and aerospace industries. Robotics integrators are a critical part of the industrial automation supply chain, not only for the supplier but also for the end user. Ergonomics and safety are a vital reason companies today are integrating robots; reducing injuries and increasing productivity is an easy sell for companies considering the cost of investment. Collaborative robots are not a direct threat to robotic integrators. 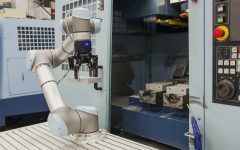 As cobots become more mainstream, especially in non-manufacturing environments, integrators will likely still be viewed as a vital player in the supply chain. Marlin Steel illustrates a perfect use case for partnering with a robotics integrator in today’s fast-paced manufacturing market. Installing a robot is one thing, and major suppliers such as ABB, FANUC, and KUKA provide support. However, the “nuts and bolts” of the setup process — from mapping out the cell to installing, tooling, and programming devices — is where the robotics integrator comes into play. “Robots are the general product, but the end effector is where the rubber meets the road, and that’s the purview of the integrator,” said Jim Mail, regional sales manager at ABB Robotics. The rapid expansion of industrial automation also validates the importance of robotics integrators. According to a recent report, the global industrial automation control market will have a 7.59% compound annual growth rate between 2016 and 2020. In addition, the International Federation of Robotics (IFR) reports that by 2018, approximately 1.3 million industrial robots will be entering service in factories around the world. Robotics integrators play a key role in the automation supply chain, not just because of the services they provide companies adopting automation, but also because robot suppliers depend on them. “Integrators are very important to robot makers because that’s the path to product,” Mail said. In other words, without the integrator to fit and customize the robot arm, the robot will be of no value. Industrial accidents cost companies billions of dollars a year in lost revenue, disability, and compensation. According to one report, overexertion and repetitive motion injuries cost companies $21.05 billion in 2013. Increasingly, manufacturers are considering automation as a way to reduce the toll of injuries. Robots are great at performing dirty, dull, and dangerous tasks, he noted. The cobot is a technology very much in its infancy, and the value proposition is still emerging. Cobots from KUKA and other vendors may be easier to use, but integrators are still needed to aid in robotics adoption. “Cobots have become a big buzzword in the industry, but it’s also a gray area,” cautioned Mail. Robotics integrators don’t expect an immediate threat from the emerging cobot sector. A popular narrative that has circulated in recent years suggests that rapid automation will eliminate jobs on a massive scale over the next two decades. Case studies like Marlin Steel suggest that robots are actually creating jobs. For robotics integrators, that’s good news. As the robotics industry continues to grow in the next decade, the role of integrator will continue to flourish as well. For the past four decades, automotive manufacturers were the primary users of robots. They’re already beginning to spread to the food, retail, hospitality, and other service industries. Those sectors will require the services of integrators to set up the robots, while also assisting with human-robot interactivity. Indeed, the future looks very bright for robotics integrators. Jeffrey Walker is a business starter and innovator who resides in the Boston area. He has worked in IT for the past decade, including three years as an emerging technologies researcher for a Fortune 100 company in Boston. Walker also does frequent technology blogging and consulting. In 2009, he served as founder and CEO of a small startup specializing in open-source human-robot interaction. Walker holds multiple master’s degrees, including an Ed.M. from Columbia University. When not writing for RBR, Walker is director of StartUPLabs, a Boston-based technology company that provides a set of integrated services to help small businesses grow.